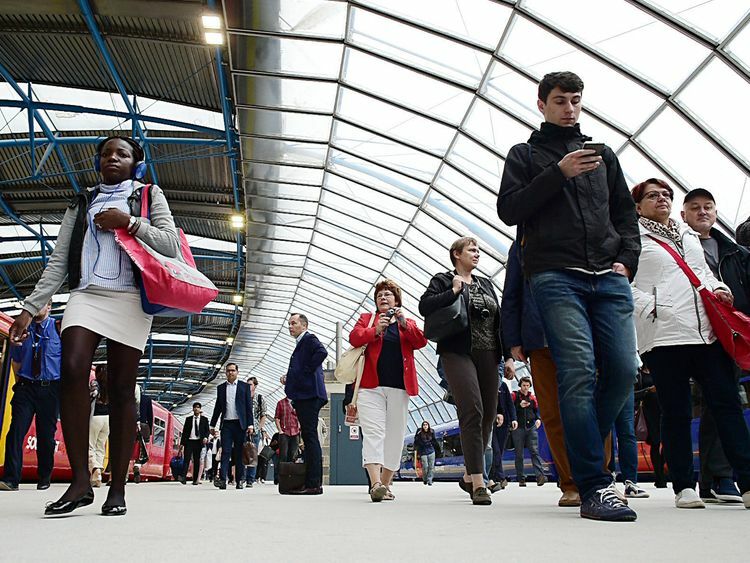 Go-Ahead, the operator behind Great Northern and Thameslink trains, has apologised for disruption to passengers' journeys as it reported a 6% rise in annual profits. The rail and bus transport company blamed "collective industry failures" for the problems across its train networks after it introduced new timetables in May. Chief executive David Brown said: "In Thameslink and Great Northern, collective industry failures over the timetable change resulted in a period of service performance which was severely below our expectations and those of our customers. ""We are sorry for the significant disruption that the change caused to our passengers and are working very hard with the rest of the industry to improve the service. "The interim timetable that has been in place since mid-July is providing a much improved train service in terms of both reliability and punctuality. More services will be introduced over the coming months. "Chaos on the railways had little effect on the company's prospects as it announced better than expected results, sending shares more than 10% higher. Group annual pre-tax profit was up 6.5% to €145.7m. However, revenue was down slightly (0.6%) to €3.4bn.Go-Ahead said the small decrease in sales was partly attributable to the loss of the London Midland rail franchise last August, which Govia, Go-Ahead's joint venture company with Keolis, ran for 10 years. "London Midland performed very well during the first six months of the year prior to the expiry of the franchise and we were very disappointed that we were unsuccessful in our bid to retain the routes under the new West Midlands franchise," Go-Ahead said. "For the group overall, we expect to deliver a robust performance in 2018/19, taking into account the expiry of the London Midland franchise last year which contributed positively for the first six months of 2017/18. "The company also saw a year-on-year drop in passengers on its Southeastern rail franchise during the first half of the year, which it blamed on "a shift in working patterns".The franchise expires in April 2019, but the company said it remained hopeful of winning it back, and had submitted "a deliverable and economically sensible" bid. Go-Ahead said it was on track to meet its goal of generating 15% to 20% of group profit from international operations by 2022, having secured seven contracts outside the UK which it expected to eventually bring in annual turnover of around €250m.The company remains on the lookout for a replacement for outgoing finance director Patrick Butcher, who recently announced his departure to services giant Capita.